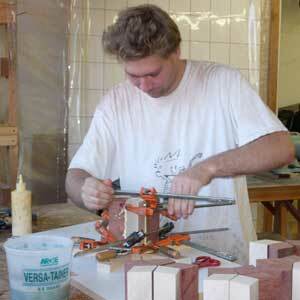 I am clamping up freshly glued Bubinga, and Maple wedges. 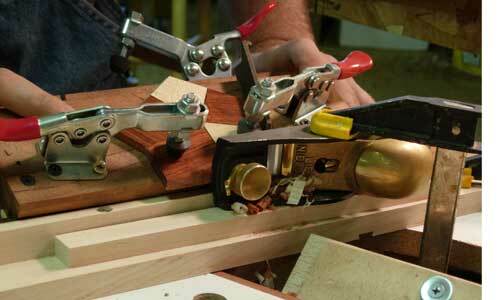 The Clamps themselves are a work of art. They make a beautiful five point star. 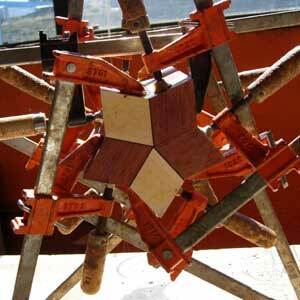 The clamped wood inside will make about 1/2 a Dodecahedron Box. 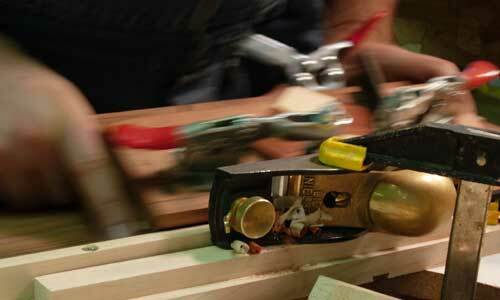 A close up on the clamped wood. 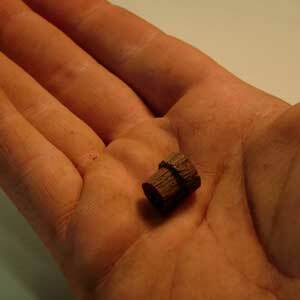 This is a tiny wenge rivet used to fasten each side to the Dodecahedron Box. 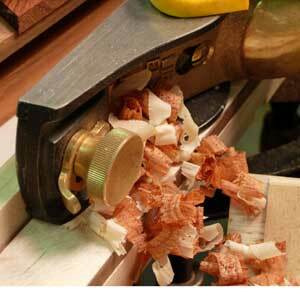 Here I have clamped a block plane upside-down so that I may finish certain edges. It is easier to hold the small pieces and keep the plane stationary. 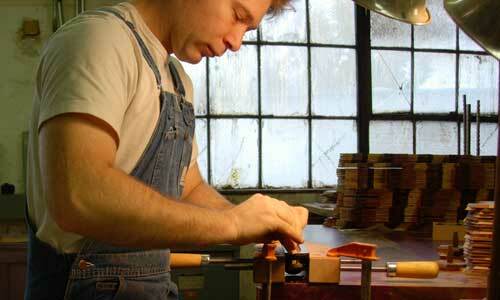 I would have to frequently sharpen the block plane blade. 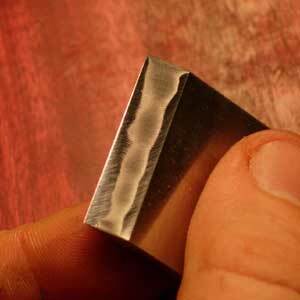 In this photo the blade is sharp enough to shave with. I don't recommend shaving with it though! 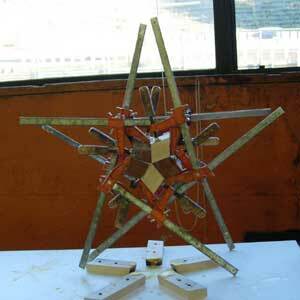 Here is what a Dodecahedron-making jig looks like. 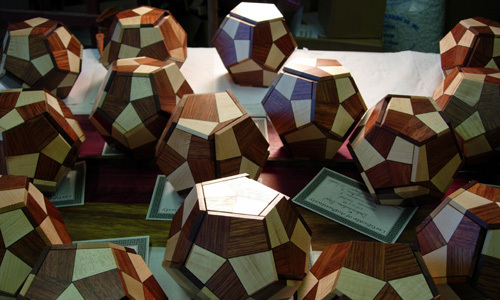 I am using it with my plane to clean up the edges on the exterior pentagons. 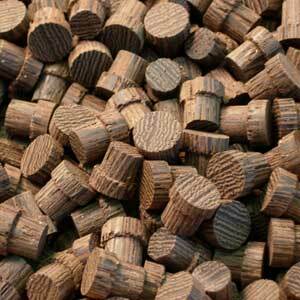 Maple and Bubinga end-grain shavings.